Home > Ask Our Experts > Can My Employer Demand to See My Facebook? I emailed my manager via facebook while I was on sick leave and convalescing abroad. She mentioned it to higher management who asked her to show them the email and my facebook entries. She duly complied. In law, what right if any , do I have to complain? In hindsight, emailing your employer through Facebook was probably not the best idea, although if you were abroad it’s acceptable if you had no other means of contacting your manager. 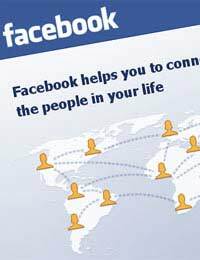 There is no law that gives your employer the legal right to demand access to your Facebook page or any private e-mails. At the same time, there is nothing illegal about an employer choosing to read your Facebook page if it’s open access. After all, you’ve left access open to your manager, so what he or she does with that information is sadly down to her, and if she felt that she had to comply with the request to show higher management, there’s really not much that you can do apart from complain bitterly about her sharing the details without your permission. In 2007, David Smith, deputy commissioner of the Information Commissioner’s Office warned people against posting too much information about themselves online – saying that many of us don’t think about the electronic footprint we leave behind for potential and current employers who might be using the Internet to vet employees. Legally, however, because the employee had complained about her job and said that she was unhappy, the company sacked her, and as they had followed all the correct procedures and not breached any laws by looking at her Facebook page, there was nothing she could do. The moral of the story is that you should restrict your privacy settings on any social networking web site, and make sure that anything you post in a public domain such as Facebook is unlikely to cause you embarrassment or to lose your job. And have a word with your manager about her sharing the details with higher management! We have ongoing issues with our neighbour and she has has just installed cctv outside the front of her house. Given the open plan nature of our gardens and garages the cctv will capture our every movement and she will be able to monitor our comings and goings etc. We often have children playing in this area who she will have recordings of. Is there anything we can do to get this removed. Please see article: Does Neighbour's Camera Contravene Privacy Rights? here which should help answer your question.